Christina and Christopher Sanders, a couple from Forest Park, Ohio, already had a big family, with five brilliant kids of their own. However, the couple still found room in their hearts for six more children. 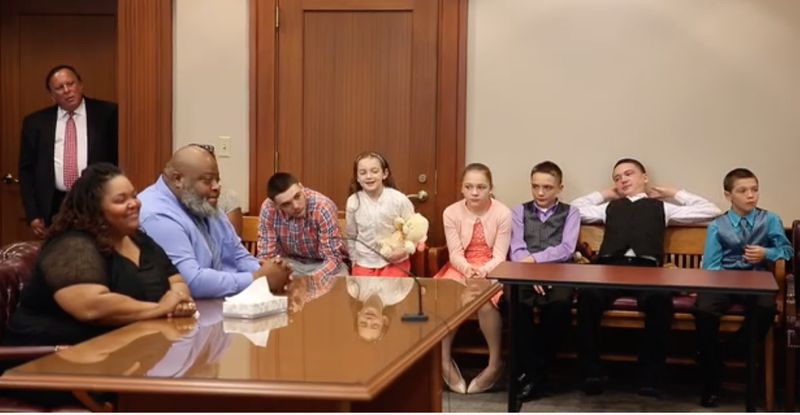 They finalized the adoption of two girls and four boys—all siblings—late last week. “I would not know where I’d be right now if it wasn’t for the Sanders. We [were] having a rough life before,” Caleb, her 13-year-old brother, added. The Sanderses took in the children in 2014 as foster parents; the kids were their first charges as foster parents. Along with Cayley and Caleb, the Sanderses have also welcomed 16-year-old Coby, 14-year-old Christian, 10-year-old Carson and 9-year-old Chloe. Hamilton County, Ohio, Probate Judge Ralph Winkler commended the family for their outstanding actions in deciding to take on such a large task. Read more at the Cincinnati Enquirer.